Many people love popcorn but haven't even considered the thought of growing popcorn themselves. It's a fun and easy thing to do. You will also be enjoying popcorn that has a bolder flavor. This stronger flavor is a result of the corn being chemical-free. Homegrown popping corn also pops faster than the kernels you buy at the grocery store. Before you consider growing popcorn in your own garden, you will need to determine if it will thrive in your area. Reading the seed packet is a simple way to find out. You can also contact your local agricultural cooperative for information. The general rule of thumb is that a warm, dry climate with cooler nights is best for cultivating your own popcorn. You will need to find a nice, sunny area for your garden. The soil must be rich. Natural fertilizers can be used to improve the quality of the soil. It is very important the garden be well drained or the corn will rot and die. It is best if the garden in which you will be growing popcorn is either square or rectangular. Corn is pollinated by the wind. In order for the corn to grow and produce properly, you will need at least four rows with four plants in each row. The rows should be placed around two feet apart. The seeds should be planted one foot away from each other. They should be planted somewhere between one and two inches deep. 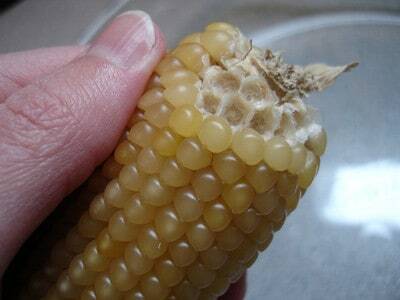 Popping corn seeds are slower to germinate than sweet corn seeds. When growing popcorn,once the plants break through the soil and get to be about six inches tall, they will begin to grow more quickly. It takes about ninety to one hundred days from germination to harvest popcorn. Selecting the right seeds is very important. A lot of people are unaware that there are numerous varieties of popcorn seeds available for purchase. The most common popping corn seeds are of the white or yellow variety. Both have small kernels that pop well with a mild flavor. They are of the butterfly style of popcorn. The white ones pop larger and fluffier than the yellow. Most commercial popcorn companies use white or yellow seeds. There are many other varieties each having their own colors and flavors. There are purple, blue, red, mauve and baby rice. Some have hulls while others do not. If you decide on growing popcorn you should select the kind that you think your family would enjoy the most.